How Do You Clean Carpet After Water Damage? Flooring is an important part of anyone’s home. There are many choices to apply to your home’s floors and any of them can tie the room together. Whether it’s through the entire house or in a solitary room, the flooring alone can give the environment a different personality. While it can be difficult and expensive to lay flooring down, it can be a great choice when it comes to interior design. There are quite a few different types, but carpet is one of the more popular choices. 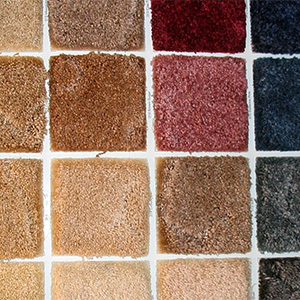 Carpet can come in all sorts of colors and styles. It can show a great deal of your own personality with the choice of a good carpet. It’s a great choice when it comes to flooring, but it is also one of the more difficult choices to take care of. Cleaning it often is a necessity when it comes to carpets, including getting a professional’s touch on occasion. However, it is one of the more difficult ones to save if water damage comes into play, compared to something like water damage on wood. Carpet is a type of flooring textile that consists of a pile layer attached to a backing. A pile is a nap or raised surface of fabric, consisting of loops or yarn strands. It is usually soft and cushioned and is made of wool, polypropylene, nylon, or polyester. There are other materials it can be made out of, but these are the most common. Carpeting usually has a pad beneath it to give it an extra bit of cushion and comfort. While carpets can be nice, rugs are also used to cover flooring if one doesn’t want to have their entire floor covered. Rugs can have a tremendous amount of varying designs and have been in use since the 1500s. These floor coverings can be a bit more delicate than normal textile carpeting, so a bit more care is needed when dealing with water damage. However, carpet is a different story. Carpet is harder to clean than other normal flooring. Since it is extremely absorbent for the most part, it can lead to some expensive cleaning bills or even replacement. It can be very difficult to save carpet, so it might be a good idea to simply pull it up and put new ones in, especially if you have insurance. Water damage can lead to mold, which is even harder to get rid of. If you’re ever uncertain, it’s a good idea to get a professional involved. Water damage is nothing to play around with. The first thing you have to keep in mind when dealing with water damage is to dry it as soon as possible. If you let water sit for too long, not only will your flooring and connected areas get ruined, it will also leave mold and mildew to grow. Mold is dangerous and can damage your health, giving you respiratory problems and possible sickness. Keep in mind that if the water is from a source that contains “black” water, there is no way of saving it. Black water is contaminated water, including floodwater, sewage, and groundwater. If the water is contaminated to this degree, there is no way to save it and it should be discarded immediately. This water brings microbes that are much more dangerous than mold and can kill a person. Find the source of water damage. It is important to locate the cause of the water damage first. If you don’t control the water damage, repairing the water damage will be for nothing. You can’t dry something if it’s still getting wet, so make sure you locate the problematic source. Whether it’s a leaky pipe, a roof leak, or something below the home, it needs to be fixed before you can progress. Dry the affected area as soon as possible. While this was said above, it is important to reiterate. Drying the area of water damage is the next thing you want to do after finding the source. The quicker you get it dried, the better it’ll be for you and your health. Using fans or heaters can have a positive effect on the area, considering it will dry faster in that case. Test the area for dampness and proceed to the next step. Sanitize the carpet and the baseboards beneath. Even if the water isn’t black, mold can still grow. Damp, warm environments cause mold and mildew to thrive. Not only will it smell bad, it can also get you sick. Sanitizing these areas with bleach or some other antimicrobial technology will suffice to remove the possibilities of mold. 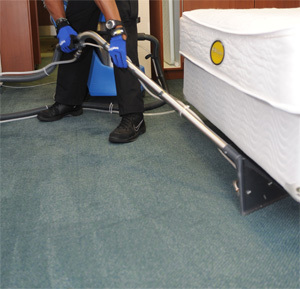 It’s a good idea to extend the cleaning outward as well, just in case there are spores that may have already grown. It is important to let the area dry again after applying any other sort of liquids. Using fans and heaters will prove beneficial, as before. After it is dry, it should not have any other possibilities of mold growing if you sanitized correctly. Call a professional if you’re uncertain. Chemicals and mold are dangerous for the average person to mess with. If you need help, don’t try to do it yourself. There are many people out there who are trained to do these specific things, including dealing with mold. Never handle dangerous chemicals if you don’t know how. Remember, if you don't do the cleanup and drying correct, you'll end up with a severe mold issue. The equipment to do this process is pretty expensive and you do need some training to do it properly, but you can DIY it if you have the time and money. The safe bet is to contact your local disaster restoration contractor. The reason I say a disaster restoration company is because they do both the damage cleanup and state licensed remediators. This means they understand mold much better than just a water damage company. Most states require licensed mold professionals where water damage isn't. Water damage is an ugly thing to deal with. It can leave gross, unsightly stains of brown on our walls, ceiling, and floors. Carpet can be destroyed with a bit of moisture to the point it has to be pulled up and discarded. It can grow mold if left untreated, giving you health problems and your home a foul odor. Never leave moisture untreated in your carpet. If it is contaminated water, it must be pulled up and thrown out. 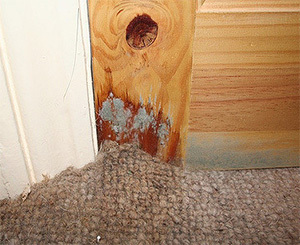 If the moisture is from outside, a leaky pipe or something similar, your carpet can be treated. Drying it is important and must be done quickly to avoid mold spreading through more of the carpet or your home. Mold can weaken the foundation of your home as well, so there are a few more dangers than health problems. Professionals can help with restoration if you’re unsure of what to do, so don’t be afraid to ask for a helping hand. How Do You Prevent Mold After Water Damage? How Do You Protect Wood from Water Damage? How Do You Repair Ceiling Water Damage? How Do You Paint Over Water Damage? How Do You Look for Water Damage in a House?